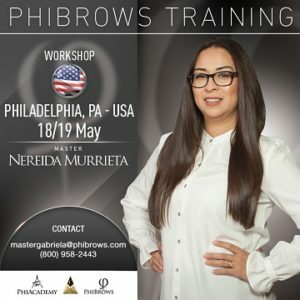 The 2 Day Phibrows Microblading Training: This course includes the Premium Microblading kit which come with your 8 premium pigments (Golden Brown, Brown 1, Brown 2, Brown 3, Arabian Night, Fox, Sunset and Warm Effect) 3 Stainless Steel universal tools, a custom phibrows stainless steel tool, 30 disposable tools, 50 blades, skin candy after care, scissors and tweezers, makeup pencils, silicon caps, latex skin simulation, phibrows compass) You will be do work on live models which will be provided by the academy during the course, You will recieve a certificate of attendance after the 2 day course of theory with medical conditions, consultations, workstation setup, the shape of the eyebrow specific to a persons natural bone structure, basic and advanced stroke patterns on artificial skin, the history of microblading, and much more, you will be enrolled in a 6 months continous education program that breaks the eyebrows down into 11 different levels to help you grasp a better understand on creating the perfect brow and this will ensure that you perfect what you learned in the 2 day course. 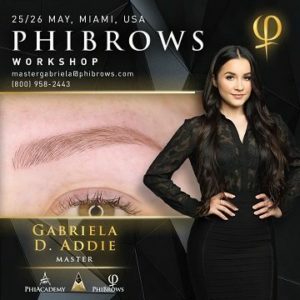 You will be afforded the opportunity take home lectures, photos and animations to help you better understand the microblading industry. There will be constant communication not only with your class mates on a daily basis but also with your instructor, royal artist, certified artist and other masters around the world. You will be added to a viber chat/ groupme chat room which all questions that you may have about what really matters in this industry, how to get equipment, help with your business and much much more. We are here for you 24/7 and our support will be with you for a lifetime. Our training isn’t only about providing the best training and ensuring that you become the best microblading artist in the world but to also create a family of love and support! Join us at Phibrows Microblading Training Academy!